Acting Inspector General of Police, Mohammed Abubakar has explained that the delay in payment of police salaries is not the fault of the police management. According to him, the delay was caused as a result of late issuance of payment warrant from the government. The IG was speaking when he met police commissioners from across the country at the Force Headquarters, Abuja, yesterday. It would be recalled that the IGP had stated at a function last month that the minimum wage in the police force was being increased to N50,000. That hasn’t happened yet, but there has been delays in paying the old salaries. The IG also urged police commissioners to ensure that the forthcoming polls in Edo and Ondo are conducted in accordance with the electoral act. 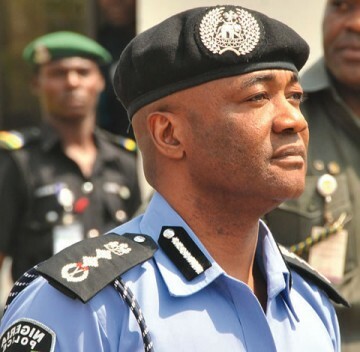 Commending the police for keeping the peace during the recent “Democracy Day” celebration across the country, Abubakar said there would be no room for laziness, corrupt practices, and other unprofessional conduct in the on-going quest to reposition the police to live up their statutory duties. He regretted the deaths of policemen in terror attacks and other violent acts in the country but assured that families of the lost policemen would be compensated. He also pledged better welfare package for serving policemen in the country.